Audio Visual Revolution (AVR) has secured the sole Australian distribution rights of British manufacturer TIBO Electronics portfolio of smart audio product ranges, according to a joint press release from both companies. AVR described the TIBO offerings as the widest range of smart audio hi-fi electronics and speakers available in Australia. It’s got some evidence to back this claim up – TIBO has a 30 year history, offices throughout Europe and a great deal of success in achieving its stated goal to develop affordable, great sounding products with a modern design. Its products are noted for their blend of traditional craftsmanship and cutting edge technology at the component level. The company is “one of very few companies around the world to have worked hard to incorporate latest hi-fi audio streaming technologies, such as Bluetooth and WiFi, into most of its products without compromising on sound quality,” according to the press release. 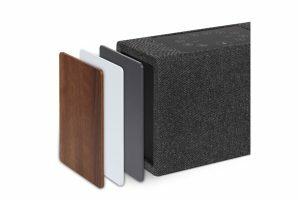 It is notably the first British audio brand to release third party Amazon Alexa voice controlled products. TIBO chief executive and founder Bob Wurtz expressed his pleasure regarding the appointment of AVR as the distributor. “We have strict criteria for our distribution partners to meet and I am delighted that AVR met it all! We are very much looking forward to the future with the team at AVR,” he stated. Almost all TIBO products can connect a traditional analogue and/or digital source/s for local listening, are integrated with the TIBO App and include user friendly preset buttons. The offerings include the affordable Choros Smart Speakers, which can work either independently, or can be played as part of a group. Also on offer are the Kameleon Smart Speakers, which reflect the versatility of their reptilian namesake due to the three sets of swappable end panels that allow the speaker to be perfectly matched to the décor of the surrounding environment.